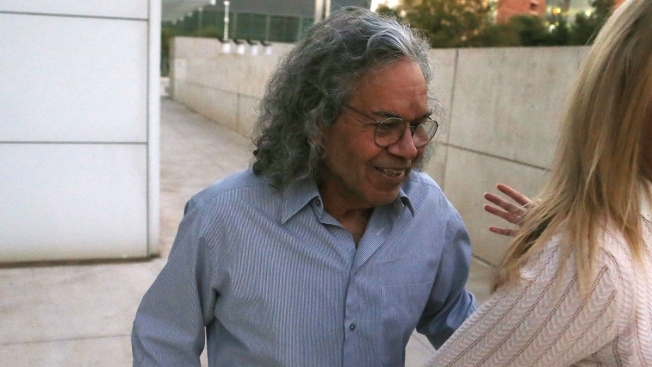 Billionaire founder of Insys Therapeutics John Kapoor leaves U.S. District Court after being arrested earlier Thursday, Oct. 26, 2017, in Phoenix. Kapoor and other defendants in the fraud and racketeering case are accused of offering bribes to doctors to write large numbers of prescriptions for a fentanyl-based pain medication meant only for cancer patients with severe pain. U.S. prosecutors leveled charges Thursday against the billionaire founder of an opioid medication maker that has faced increasing scrutiny from authorities across the country over allegations of pushing prescriptions of powerful painkillers amid a drug epidemic that is claiming thousands of lives each year. The fraud and racketeering case against Insys Therapeutics founder John Kapoor came the same day President Donald Trump declared the opioid crisis a nationwide public health emergency. The case naming Kapoor follows indictments against the company's former CEO and other executives and managers on allegations that they provided kickbacks to doctors to prescribe a potent opioid called Subsys. In the new indictment, Kapoor, 74, of Phoenix, and the other defendants are accused of offering bribes to doctors to write large numbers of prescriptions for the fentanyl-based pain medication that is meant only for cancer patients with severe pain. Most of the people who received prescriptions did not have cancer. 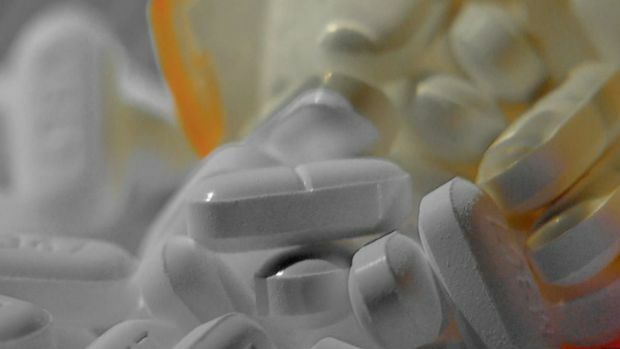 It also alleges that they conspired to mislead and defraud insurance providers who were reluctant to approve payment for the drug when it was prescribed for patients without cancer. U.S. prosecutors in Boston brought the case as they vowed to go after problem opioid makers similar to how they target "cartels or a street-level drug dealer." "In the midst of a nationwide opioid epidemic that has reached crisis proportions, Mr. Kapoor and his company stand accused of bribing doctors to overprescribe a potent opioid and committing fraud on insurance companies solely for profit," said Acting U.S. Attorney William D. Weinreb in Boston. A judge set bail at $1 million for Kapoor, saying he must wear electronic monitoring and surrender his passports. Kapoor, who was arrested earlier Thursday, entered court in basketball shorts, tennis shoes and a T-shirt, his long, gray hair disheveled. "He is not guilty of these charges, he intends to fight it vigorously," defense attorney Brian T. Kelly said outside court. Kelly is a high-profile Boston lawyer and former federal prosecutor who successfully tried imprisoned gangster James "Whitey" Bugler. Kapoor came to the U.S. from India to get his Ph.D. in medicinal chemistry from the University of Buffalo, where the pharmacy school is named for him and his wife to honor their longtime philanthropy. A new report from the Centers for Disease Control and Prevention show a steep increase in fatal drug overdoses involving teenagers ages 15 - 19 since 2015 after years of decline. Deaths from fatal drug overdoses doubled, with most cases stemming from opioid use. Kapoor, whose worth Forbes estimated at $1.75 billion, also founded a company that operates seven restaurants including the Japanese eatery Roka Aker in Scottsdale. In Massachusetts, former Insys CEO Michael L. Babich and five other former executives and managers are set to go to trial in October 2018 and have pleaded not guilty. The latest indictment brings new charges against Babich and others. Several former Insys employees and health care providers have pleaded guilty to felony charges around the country, including in Alabama and Connecticut. A Rhode Island doctor pleaded guilty Wednesday to accepting kickbacks in return for prescribing the highly addictive fentanyl spray. A spokesman for Arizona-based Insys said this week that the company is under new management and has replaced nearly all its original sales staff. It says it takes responsibility for the actions of its former employees. "We have taken necessary and appropriate steps to prevent past mistakes from happening in the future, and are committed to conducting business according to high ethical standards and the interests of patients," the company said in a statement Wednesday. "We also continue to work with relevant authorities to resolve issues related to the misdeeds of former employees." Sen. Claire McCaskill of Missouri said evidence from a congressional probe she launched this year suggested that Insys had "gotten away with fines that amounted to a slap on the wrist for actions that helped fuel a nationwide epidemic that's claimed hundreds of thousands of American lives." In the heart of Philadelphia's open drug market, there's an artery carrying drug addicted people to their high. Kapoor was named the drugmaker's president and CEO in November 2015 after Babich resigned without explanation. Federal authorities apparently have been investigating the company for some time. In late 2013, Insys said it received a subpoena from the Department of Health and Human Services asking for documents tied to the commercialization of Subsys. Nearly a year later, it received a subpoena from U.S. prosecutors in Boston for documents connected with sales and marketing practices for the drug. In addition to the criminal charges, states have been suing Insys over its marketing practices. Meanwhile, the company has been active in politics, donating $500,000 last year to an Arizona campaign to defeat a ballot measure to legalize marijuana. The company's stock price has taken a big tumble in recent months amid the legal issues. Insys stock plunged more than 20 percent Thursday. Associated Press writers Jacques Billeaud and Geoff Mulvihill contributed to this report. 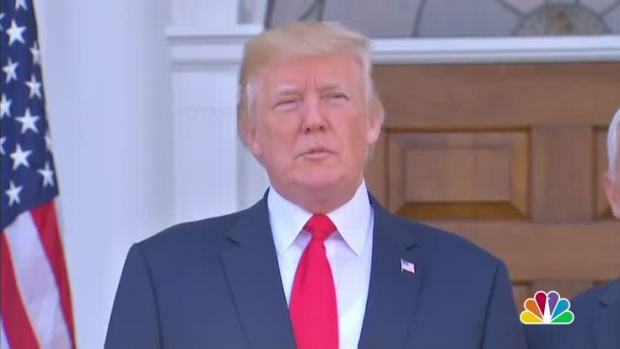 Trump discussed intentions to declare the opioid crisis a state of emergency today.